Languages spoken: English and Arab. In a quick and short summary, tell us who are Arms Assassins and their roleplay: AA basically takes care of selling guns around the city. Since 2011 Quality has give them profit and respect. Previous clans on the server (include the reasons for leaving): OC, ThC and CripZ (I honestly didn't feel comfortable in the gangs previous mentioned, although CripZ made me feel really good, I will always thanks Zaza for the opportunity and kindness he had). Previous bans on the server and reasons for them: None. -Gangs cannot make Bank Robberies more than 2 times a day. -It's not allowed to avoid by any mean while quiting the exit door on the roofs. -A member shouldn't BR alone. -No special groups are allowed to help. -We cannot spawnkill while GRing. -You're not allowed to use nades while GRing. -It's not allowed to camp or stay on unclimbable roofs to take advantage. 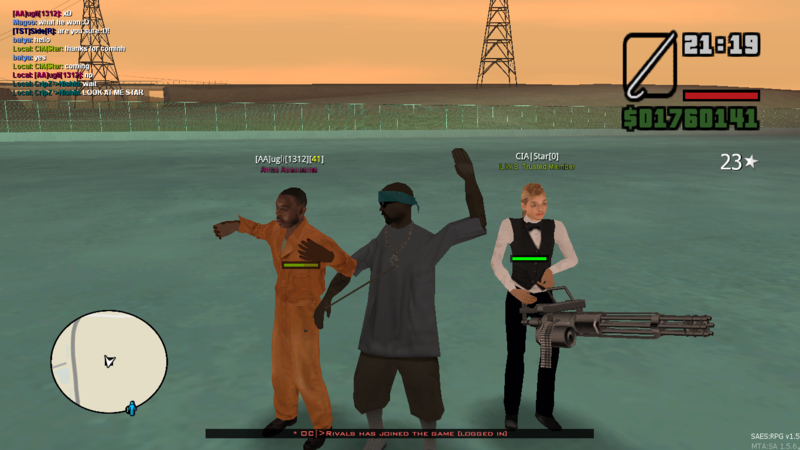 -You're not allowed to spawn as Police Trainee, or Medic to assist your Gang mates. What is Roleplay? : Playing in character pretending to be IRL. What is Deathmatching? : Killing someone without any possible reason. Someone DMs you. What do you do? : Contact an admin to deal with him. You're passing by one or several cops, who do not attempt to arrest you. What shall you do? : Nothing. Do you know anyone from the gang, or have made connections with anyone inside the gang, before you applied? : Some members indeed i do. Application text (tell us something about yourself or anything you want to try to convince us): I like to play tennis is my favorite sport. I like to spend time with my friends irl and also always loved to play on the computer since i was young. I know I've been in 3 gangs which I don't regret at all, what I regret is letting them down. You should ask yourself why would you accept me? what difference does it makes AA. Well I never applied for AA because I was afraid of getting denied, I didn't want to get denied so I didn't had the courage to apply, perhaps because I didn't had much experience with a Level 5 gang before, at least A real level 5 gang, I want to stay here for good, end my career in AA, I hope you guys understand, I'll bring loyalty, respect and overall humbleness. f. Tell us about yourself : I like to play sports, mostly tennis, I always wanted to be a tennis player, but I didn't had the balls to chase my dreams, still I'm young to go for it and that's what my future goes. I'm about to enter college and hopefully I will be done in about 3 years. I like to listen to Hannah Montana sometimes creepy ye? well she cute tho. g. Do you have teamspeak or discord : Yes. a. How long have you been playing on SAES: I've been playing SAES for over 4 years now. I joined in 2015, I decided to create an account on forums after some months since I didn’t had knowledge about it, joined random gangs until I got experienced and joined OC, I went inactive for a while didn’t had much communication with the members so I left, respecting my previous gang I waited and joined ThC but I didn’t felt comfortable in te gang and decided to leave. (e.g: Killing or destroying vehicles without any reason) Yeah, well killing someone without a reason or damaging someone else car with any reason at all. Playing in character like in real life and acting as you were in real life. Well it means killing yourself in order to avoid the arrest, and the example can be: while running from the police, you nade yourself on purpose to die while the police is chasing you that's avoiding the arrest. -Gangs are allowed to BR twice a day only. -You can't use the bank as an avoid taking SF and LS bank, jumping off and dying is technically avoiding. -It's not allowed by any means to start a BR alone in every gang as common sense. 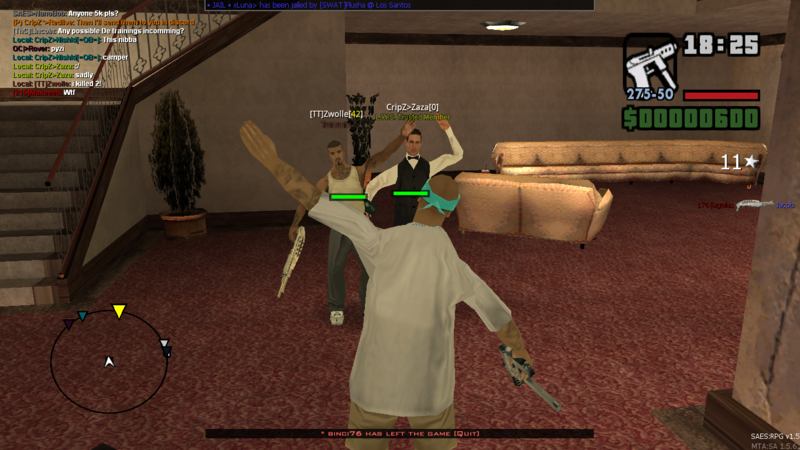 -Well as a gang member you're not allowed to spawn at your properties while turfing to take advantage. As a gang member you're not allowed to use unclimbable roofs while turfing. -You cannot spawn as Police class, medic etc. to assist your Gang. -No CLO/DE members are allowed to help. -You're not allowed to camp the spawn. And start spawn killing. b. 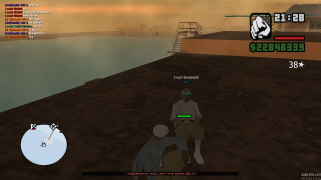 Explain CripZ's roleplay with your own words: CripZ is a drug business gang, CripZ was able to build an empire with their factory alcohol and drugs until they were able to distribute the product around Los Santos. 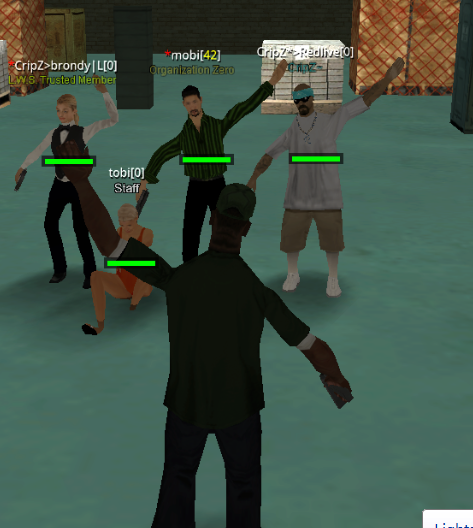 c. Why do you want to join CripZ: I love the gang structure as a whole, I'd like to join you guys because I really like the roleplay basis you got, it's unique, yeah another gangs are related but you're old in game and experienced which makes it special. d. Why should we accept you: I want to grow in the gang, I know I have to prove myself and I will certainly do, I will bring activity to the gang as well as skills overall, I know the rules without exception and I'm skilled in RPs. e. What is your strengths: I feel mentally capable of doing anything, any task in front of me, I'm really friendly and always looking for my friends/teammates. f. What is your weaknesses: I don't know how to drive to be honest, if I had to choose either drive or fly i'd go for neither of both because I'm not really skilled in either, but I can always improve that's not a problem. Define The Company's role in one sentence :Perfect organization that does perfect deals with other gangs that has main goals as gaining money assassinate any rivals or important people to take over SanAndreas. You are getting chased by a cop and sadly you die by falling off a cliff. Because of that, the cop is menacing you with a report. How would you approach this? :First of all I would watch where I am running so that doesn't happen but incase it happens I would apologize to the cop and to the admin and explain my situation that this wasn't on purpose. You are in a confidential gang meeting. Instantaneously the leader of the meeting advocates something that you do not sympathize so you accidentally said something ridiculous. The leader of the meeting orders you to leave the gang and the meeting. After leaving the meeting and walking to your car you suddenly see 2 laser dots on your clothes, one pointing at your heart and the other at your liver. First, you act calm but then suddenly after a few milliseconds you get that signal in your brain that you have no body armor. What would you do after realizing that you are unprotected? :I would try to get to the nearest cover and hide there and call for the gang's help to get rid of the people trying to shoot me. There is a guy where you had several disputes with causing you to have an incredible hatred against him. You also have sworn several times that you will never forgive him and every time you see him you try to avoid him as you know if you do not severe drama will happen. Now this same guy which you have a grudge on decides to join the gang of which you are a respected member of. He somehow managed to join. How would you react when you see him in the gang? I would congratulate him and start a new page with him and apologize for all the bad things that I've done before and start getting along with him and actually let him realize that I am a guy that doesn't like trouble or anything like that! But if he wouldn't want that I would keep a formal relationship with him and that's it. But I hope that we would actually get along.